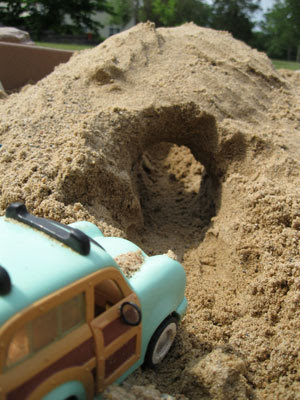 My son's favorite summer activity: building tunnels in the sandbox for his cars. The best part? Watching the tunnel collapse. 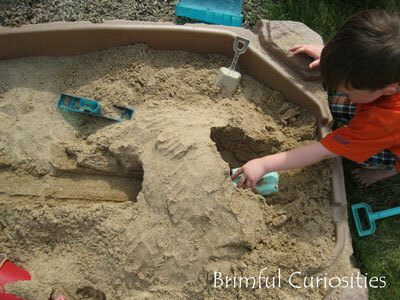 Great way to learn some basic engineering skills. 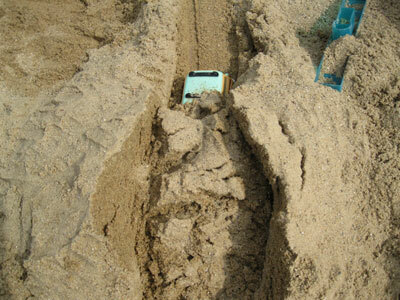 Oh no it collapsed! But, it is great to see happen. And it was an impressively long tunnel. Neat pictures of the tunnel! 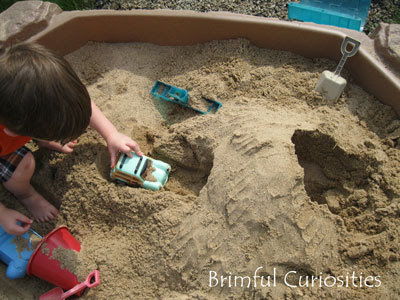 My kids love playing in the sand... Secret - so do I! Fun! Little J loved cars and trucks when he was younger. What a cute blog ... love the pasta fireworks !!! what a fun time and way to be outside..
Ha! Love that first picture!